In the desert, water is king. Prior to the arrival of irrigation canals in 1906, the Central Oregon region that would become Redmond was little more than a collection of determined settlers, many living in tents, bent on proving up their Carey Act homesteads. By 1910, the Redmond Spokesman, one of two newspapers publishing in the newly incorporated town, was bragging, "Redmond is situated in the heart of the best irrigated farming section in Central Oregon, where abundant crops are grown by an intelligent and progressive class of farmers and ranchers." 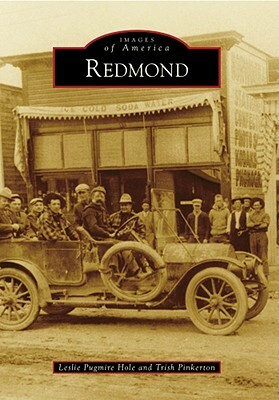 By 1911, Redmond cemented its reputation as the hub of Central Oregon when the Oregon Trunk Railroad line arrived, boosting Redmond commerce by taking it out of the horse-and-wagon movement of goods and people. After World War II, the City of Redmond purchased an army airbase for $1 and built it into Oregon's largest regional airport east of the Cascade Mountains.